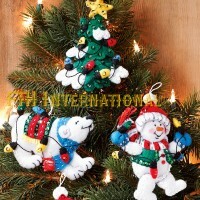 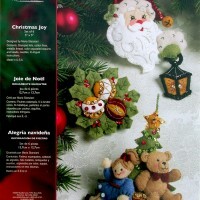 Here Comes Santa Bucilla Felt Christmas Wall Hanging Kit # 86737 - FTH International Sales Ltd. 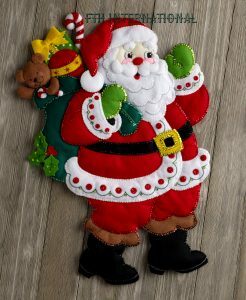 There will be no doubt that Santa is on his way when your friends and family see this Here Comes Santa Home Decor kit hanging in a prominent place along with your other holiday decor. 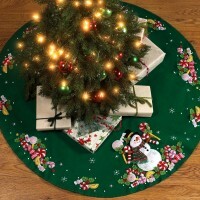 When finished, this Here Comes Santa Wall Hanging will measure approximately 17″ wide by 24″ high.